Want to sell your used gear? Drop it off to sell between 7-11 a.m. the day of sale. 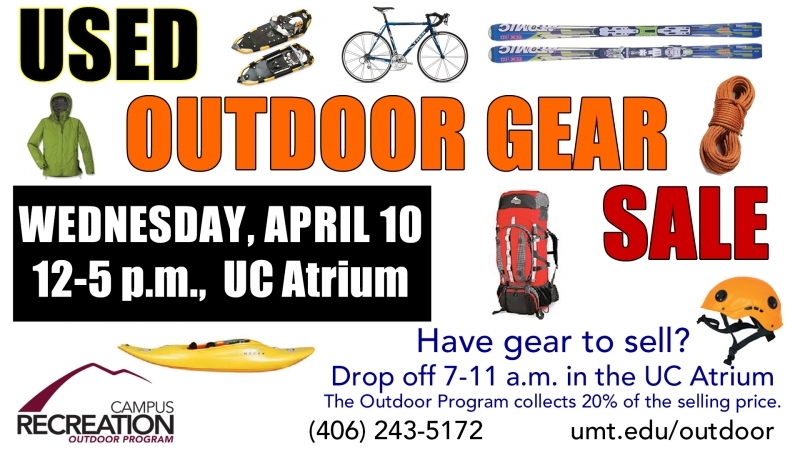 Pick up unsold gear and cash payout from 6-7:30 p.m. Outdoor-related equipment only! The UM Outdoor Program collects 20 percent of the selling price. Open to the general public and University community.